Where Do I Find My Document Number? If you do have a valid Manitoba driver's licence or identification card, you need to provide your document number to confirm your identity. 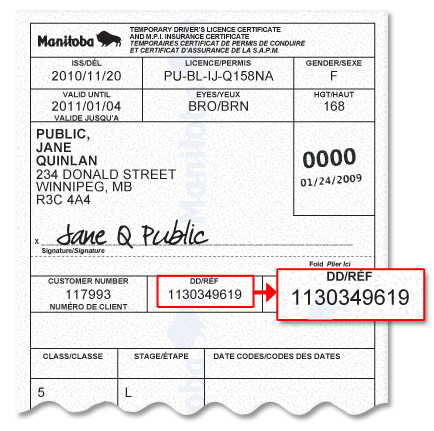 Your document number (DD/RÉF) is located on the front of your Manitoba driver's licence card or enhanced driver's licence card. In the example below, the number is outlined in red. 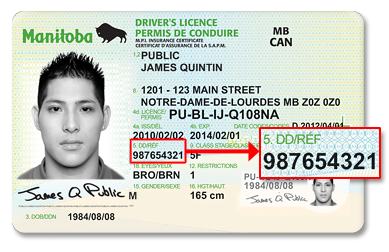 Your document number (DD/RÉF) is also located on your Manitoba driver's licence addendum if you have conditions or more than three restrictions placed on your licence. In the example above, the number is outlined in red. 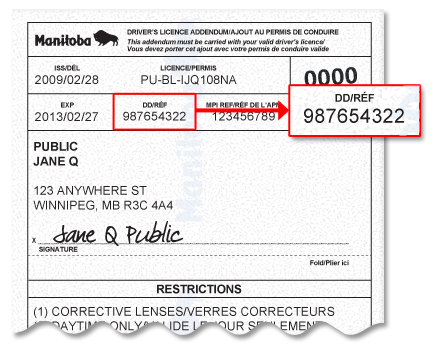 Your document number (DD/RÉF) is located on your Manitoba temporary driver's licence certificate. In the example above, the number is outlined in red. 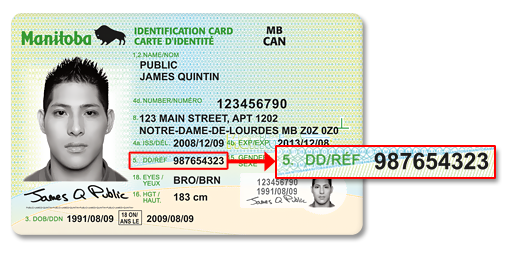 Your document number (DD/RÉF) is located on the front of your Manitoba identification card or enhanced identification card. In the example above, the number is outlined in red.